The City of Coopersville announced its joining of the MITN Purchasing Group which connects nearly 200 existing participating agencies from across Michigan to a large vendor pool for bid distribution and management. It will allow us to receive project bids from a wider variety of vendors more efficiently and increase transparency. The City of Coopersville announced its joining of the MITN Purchasing Group which connects nearly 200 existing participating agencies from across Michigan to a large vendor pool for bid distribution and management. BidNet’s MITN Purchasing Group provides notification to registered vendors of new relevant solicitations, and any addenda and award information from its participating agencies. The City of Coopersville invites all potential vendors to register online with the MITN Purchasing Group to access its upcoming solicitations by visiting https://www.bidnetdirect.com/mitn. 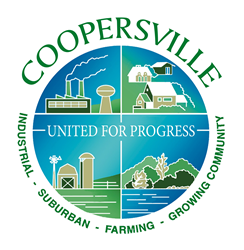 The City of Coopersville joined the purchasing group in June. In joining, the City of Coopersville hopes to utilize the system to streamline their purchasing process. The MITN Purchasing Group is a single, online location for managing sourcing information and activities and provides local Michigan government agencies the tools needed to minimize costs and time delays associated with their procurement process. The City of Coopersville was distributing bids and managing their procurement process manually before joining the system. In joining, the City of Coopersville looks to save time, reach out to more vendors automatically and achieve cost savings over the traditional paper-based bid process. The City of Coopersville has access to the MITN Purchasing Group’s vendor pool which will enhance competition without increasing distribution costs. In addition to the existing vendors on the MITN Purchasing Group, all vendors looking to do business with the City of Coopersville can register online at https://www.bidnetdirect.com/mitn. The City of Coopersville invites all current vendors not already registered on the purchasing group to do so today. Registered vendors can access all open bids, related documents and files, and additional addendum and award information. In addition, the MITN Purchasing Group offers a value-added service to notify vendors of new bids targeted to their industry, all addenda and advance notification of expiring term contracts. A robust NIGP code category list allows vendors registering to find the correct codes in order to receive matched bid information. Vendors may register on the MITN Purchasing Group by visiting https://www.bidnetdirect.com/mitn. BidNet’s vendor support team is available to answer any questions regarding the registration process or the bid system at 800-835-4603 option 2. Other local Michigan government agencies looking to switch from a manual bid process, please contact the MITN Purchasing Group for a demonstration of the no-cost sourcing solution.